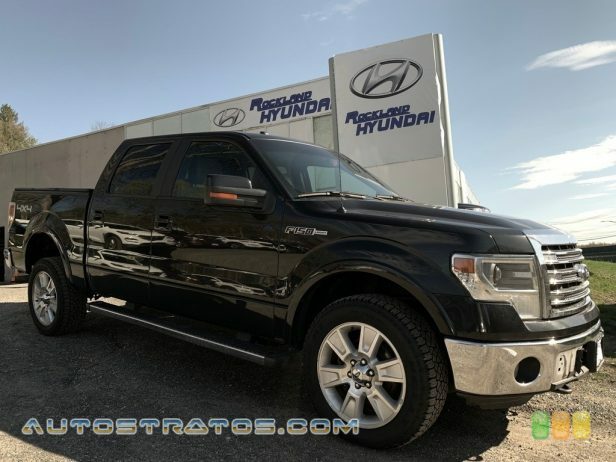 ROCKLAND HYUNDAI has a wide selection of exceptional pre-owned vehicles to choose from, including this 2013 Ford F-150. This vehicle is loaded with great features, plus it comes with the CARFAX BuyBack Guarantee. No matter the terrain or weather, you'll drive at ease in this 4WD-equipped vehicle. With exceptional safety features and superb handling, this 4WD was engineered with excellence in mind. The Ford F-150 XL will provide you with everything you have always wanted in a car -- Quality, Reliability, and Character. Ford claims class-leading fuel economy, as well as best-in-class towing and horsepower for both its base V6 engine as well as both of the available V8s. Ford also says that it's the only automaker to offer a 6-speed automatic transmission across its entire model lineup. The F-150 also offers electric power steering, which saves fuel and gives an improved steering feel. Across the lineup, the F-150 carries through with the full redesign that the truck received for 2009; since then, the F-150's very purposeful, upright instrument panel and vastly upgraded interior materials have stood out in this very competitive class. This model sets itself apart with wide range of models for all budgets, tastes and needs, class-leading towing and payload capacities, available luxury features, and Powerful and efficient powertrain lineup SE HABLA ESPANOL! To view our entire inventory please visit our web site at www.rocklandhyundai.com or call one of our internet specialists (866) 682-6866. ROCKLAND HYUNDAI is proud to announce $ 000 DOWN FINANCING AND TOP DOLLAR FOR ANY AND ALL TRADES!!! Same great price whether it is cash or financed! No GIMMICKS! No HASSLE! Why buy from ROCKLAND HYUNDAI? We are the only one's to offer customers our Exclusive Brake Guarantee on all Pre-Owned vehicles.